Wendi concentrates her practice on intellectual property law and complex commercial litigation. As the co-chair of the Firm’s Intellectual Property Group, Wendi has extensive experience in all areas of non-utility patent intellectual property. Wendi combines her skill and experience as a trial attorney with her knowledge of copyright, trademark, design patent and trade secret law to service the firm's diverse clientele. She actively assists clients in identifying, protecting, valuing, and preserving their intellectual property assets in the United States and internationally. Wendi counsels high profile clients on international trademark filing strategies and clearing new global brands in multiple jurisdictions, registering the mark with the relevant trademark offices, and policing the mark against infringers or defending a client's use of a mark from threat of attack. She also handles the intellectual property aspects of U.S. and international corporate transactions, including mergers and acquisitions, persona licenses, and trademark licenses. Wendi has litigated a wide variety of intellectual property cases across the country, including trademark infringement, trade dress infringement, unfair competition, counterfeiting, domain name issues, false advertising, right of publicity, copyright infringement, and design patent infringement. She has also handled a number of opposition and cancellation proceedings before the Trademark Trial and Appeal Board. 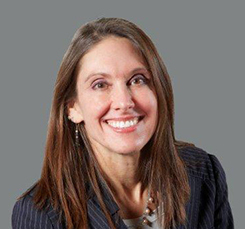 Wendi is well-versed in alternative dispute resolution, both as a litigant handling mediations and arbitrations, and as a member of the Panel of Neutrals for the International Trademark Association and a mediator at ARD Systems in Chicago. She is a frequent speaker at a variety of IP industry seminars and meetings. In 2017, Wendi received an Award of Excellence in Pro Bono Work from the Northern District of Illinois. In 2009, Wendi was honored as a Corporate Woman of Achievement by the National Association of Women Business Owners (NAWBO Chicago Chapter) for her contributions to advancing the success of women in the field of law. She was a member of the Trademark Reporter Committee from 2014-2018, and she is now a member of the International Trademark Association Bulletins Committee and an active member of the Trademark Litigation and Copyright Litigation Subcommittees of the American Intellectual Property Law Association. Wendi is proficient in French. Represented various divisions of LVMH Moët Hennessy Louis Vuitton, S.A. in the intellectual property aspects of their acquisitions of Bliss, Fresh, Benefit, Urban Decay, Hard Candy, Donna Karan, Belvedere Vodka, including overseeing the intellectual property-related due diligence activity and negotiating the intellectual property-related provisions of the transaction documents. Defended America West Airlines in a case alleging misappropriation of trade secrets; we settled the lawsuit on favorable, but confidential, terms. Represented Moёt Hennessy U.S.A., Inc. in a false advertising claim; we settled the lawsuit on favorable but confidential terms. Represented Louis Vuitton in a trademark infringement and dilution action; we obtained summary judgment in Louis Vuitton’s favor on its federal dilution claim. Represented Louis Vuitton Malletier in successful appeal to U.S. Court of Appeals for the Second Circuit; we obtained a reversal of the District Court’s denial of Louis Vuitton Malletier’s motion for preliminary injunction in a trademark infringement action. Represented Louis Vuitton in a trademark infringement action; we obtained not only a consent injunction but also the defendant’s agreement to pay the legal fees our client incurred by our client in the action. Defending Moët Hennessy in a trademark infringement action; we settled the lawsuit on favorable, but confidential, terms. Defending De Beers Diamond Jewellers Ltd. in a trademark infringement action; we settled the lawsuit on favorable, but confidential, terms. Represented GoSmile, Inc in a trademark and trade dress infringement action; we settled the lawsuit on favorable, but confidential, terms. Represented the receiver of a failed investment advisor in all litigation to recover assets and insurance proceeds; we recovered significant assets, including the proceeds of directors and officers liability policies and the advisor’s fidelity bond. Defended Kmart on a breach of contract claim seeking approximately $20 million; we obtained dismissal of the claimant’s damage claim in full, resulting in a favorable resolution of the case. Represented Bank of America in third-party actions seeking recovery of more than $1 billion in damages allegedly arising out of national restaurant chain's insolvency; we were successful in obtaining summary judgment dismissing the third party complaints. Representation of Kendo Holdings, Inc., a cosmetics and beauty incubator company owned by LVMH Moët Hennessy Louis Vuitton and affiliated with Sephora, in strategic transactions related to the formation and launch of the brand Fenty Beauty by Rihanna. Representation of LVMH Luxury Ventures, an investment arm of LVMH Moët Hennessy Louis Vuitton SE, aimed at taking minority stakes in emerging, iconic brands, in its equity investment in Gabriela Hearst LLC. Launched by its founder and namesake, Gabriela Hearst, the company is a New-York based luxury ready-to-wear, leather goods, and lifestyle company. 2013 Annual Meeting of the International Trademark Association: "The Benefits and Limitations of Advertising Injury Insurance"